We have put together a choice of fantastic Stay & Play golf deals to suit all budgets. After running these offers for the past 12 months we are now getting lots of repeat bookings and customer referrals which is testimony to the the great value these golf packages represent. 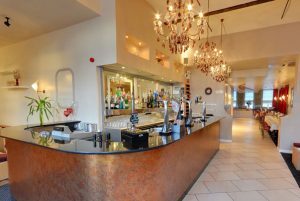 Situated within just 5 minutes easy drive from Brighouse town centre, the Waterfront Hotel & Venue is located in a grade II listed building on the banks of the Calder & Hebble Navigation. With an on-site Prego Italian continental restaurant and within walking distance of shops and bars, there will be plenty to keep you entertained before & after your round of golf! Upgrade to an Executive room for £10.00 per person extra or a Deluxe room for £15.00 per person extra.